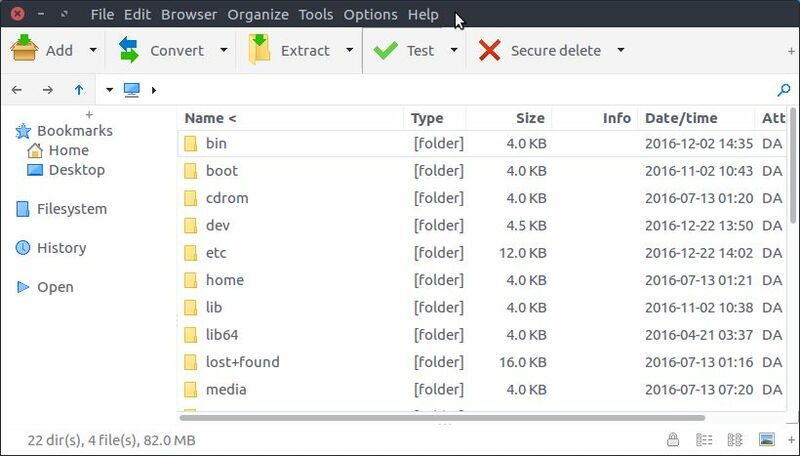 PeaZip is a free and open-source file archiver for Microsoft Windows, Linux and BSD. It is written in Free Pascal, using Lazarus and released under GNU Lesser General Public License. It supports more than 188 file extensions, like native PEA archive format and some other popular formats like 7Z, ACE, RAR, TAR, ZIP, ZIPX. For linux it comes in two version. one is in GTK2 and the other is in Qt. Portable versions are also available. To install PeaZip on ubuntu, go to PeaZip download page and download the portable version of PeaZip. The downloaded file size is around 12MB. Here the the downloaded file name is peazip_portable-6.2.0.LINUX.x86_64.GTK2.tar.gz. Right-click and select extract here. Open the extracted folder and double click the PeaZip executable file to run the PeaZip application. The .deb files are also available. You can also install it via the .deb files.